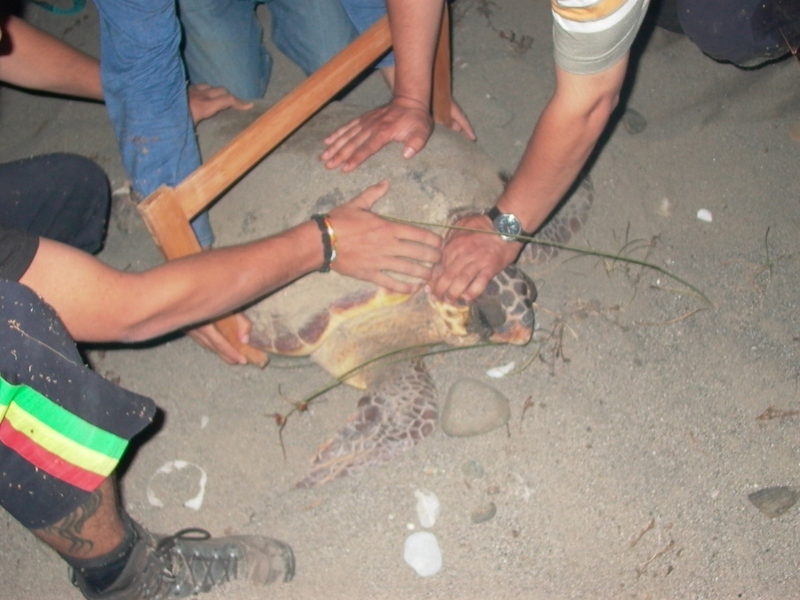 The status and trend of sea turtle populations can only be determined by long-term scientific investigations. 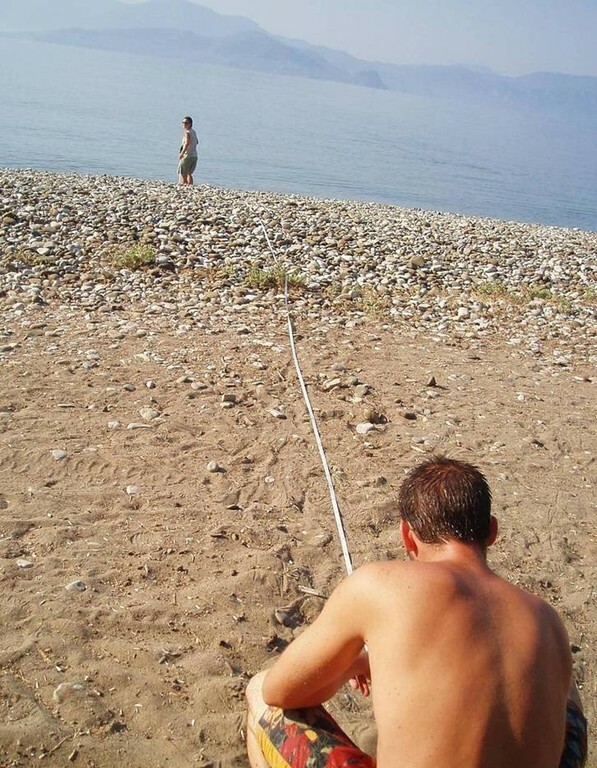 This calls for continuing the research and collecting new data every year. 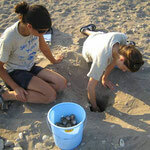 The fieldwork can be divided into two main seasons, which are overlapping. 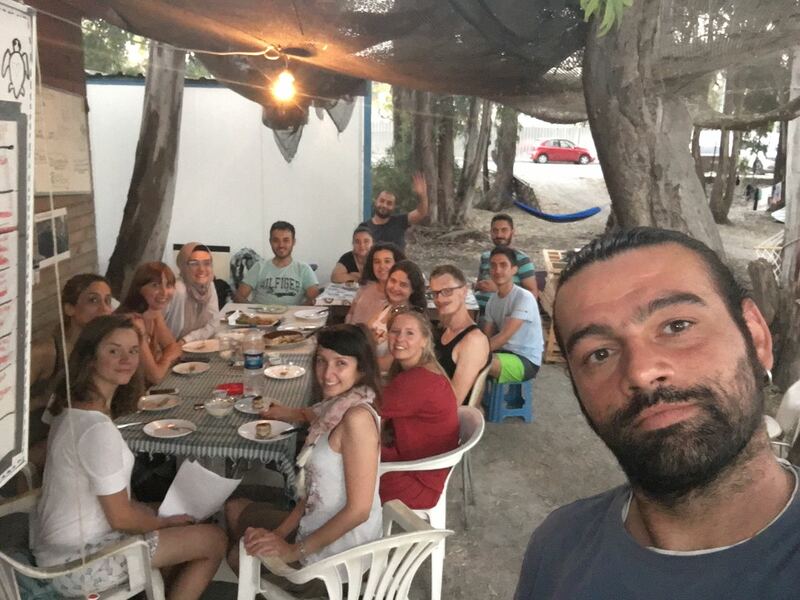 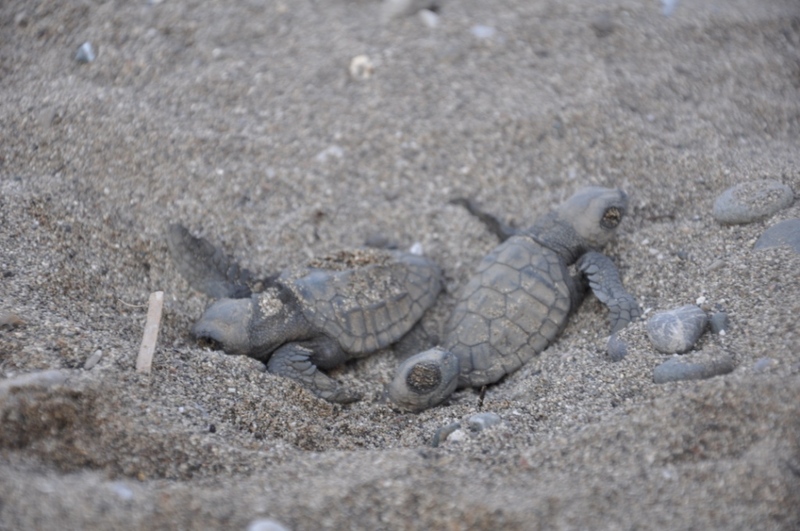 In the first half of the summer we come across adult turtles, in the second half of the project we mainly attend to the hatchlings. 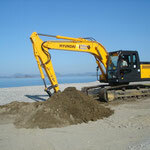 The work involves a series of 2 shifts during the night and the morning (22:00-2:00; 6:00-8:00). 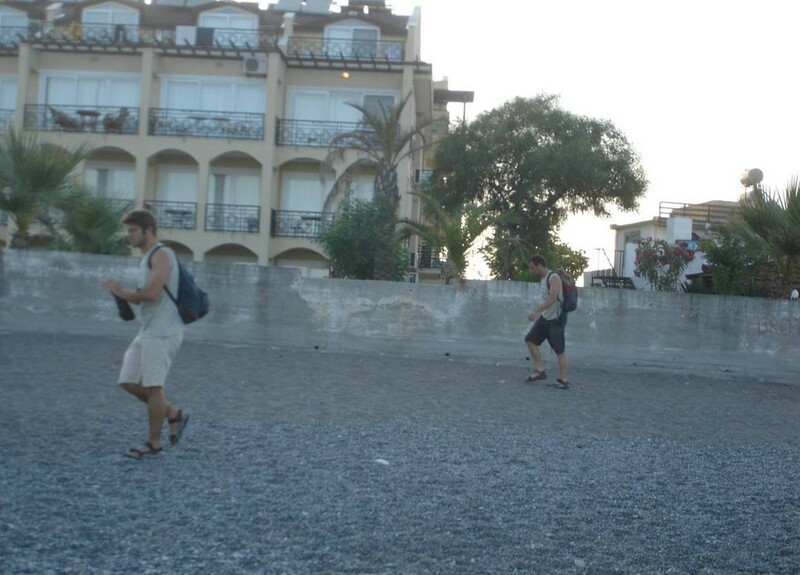 In the course of each shift, the students patrol their sections of the beach in groups of 2-4 persons. 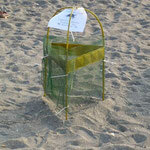 All observations are recorded in special pre-printed data sheets. 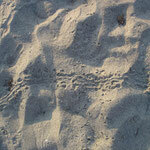 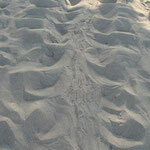 If we find adult sea turtle tracks in the sand in the morning shifts, we measure them excactly (length, width). 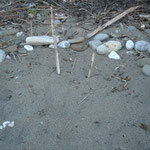 The next step is to determine whether a nest was laid. 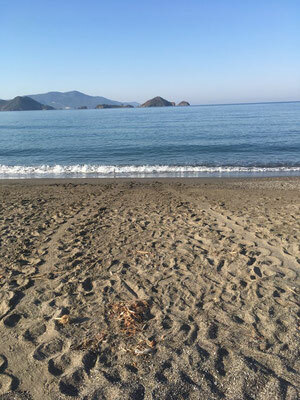 The nests themselves are located and their distances to the sea and to other conspicuous landmarks recorded. 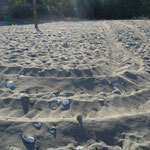 We also document so called "bodypits" along the track of an adult turtle. 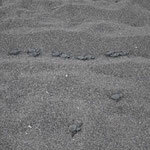 These are the turtle's first tests for checking the sand quality. 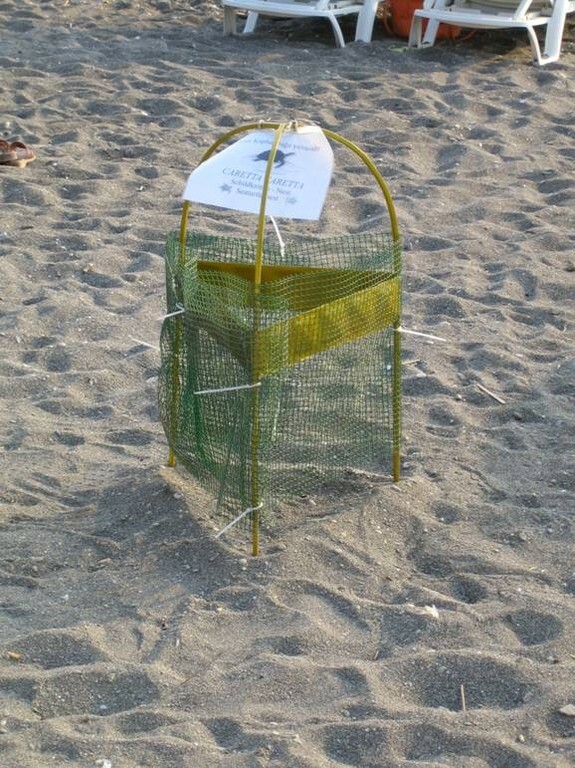 Depending on the beach section, the nests are marked with stones or special cages (as protection from predators or tourists). 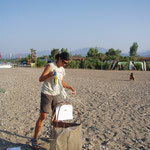 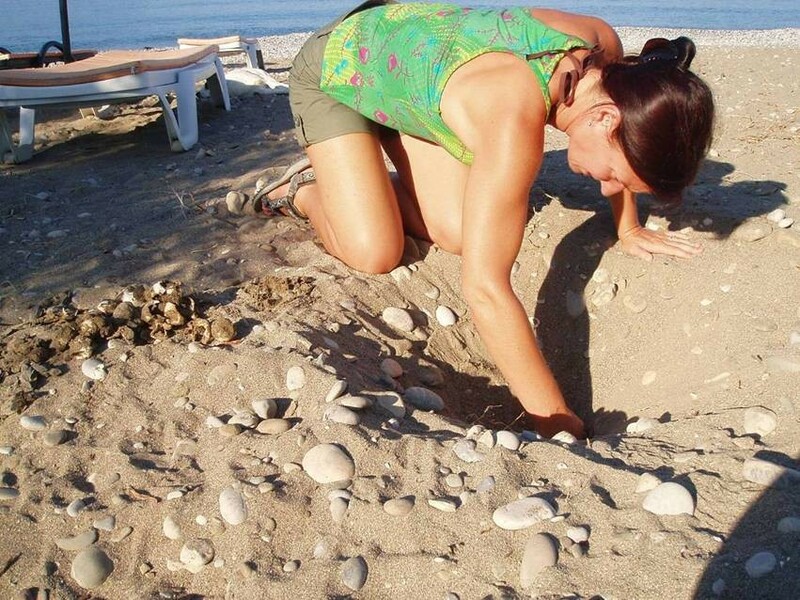 The positions of the nests are checked at regular intervals to ensure that they have not been displaced by tourists. 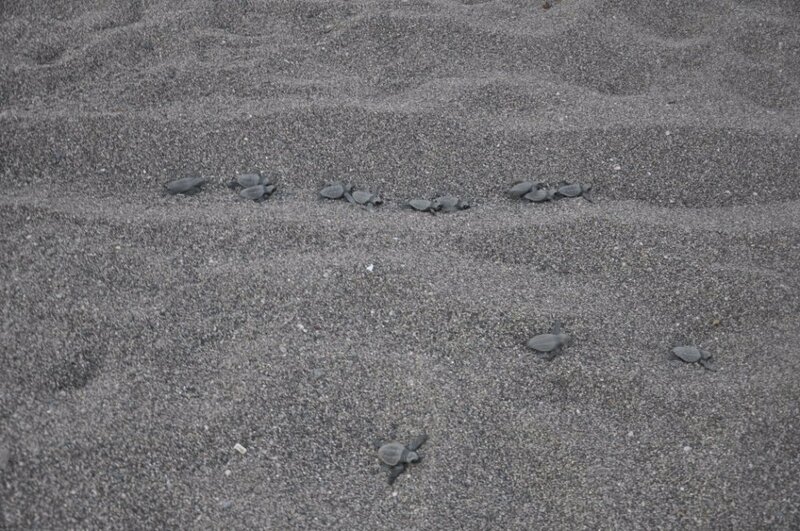 Later in the season, hatchling tracks are also counted and efforts are made to follow and locate misoriented hatchlings. 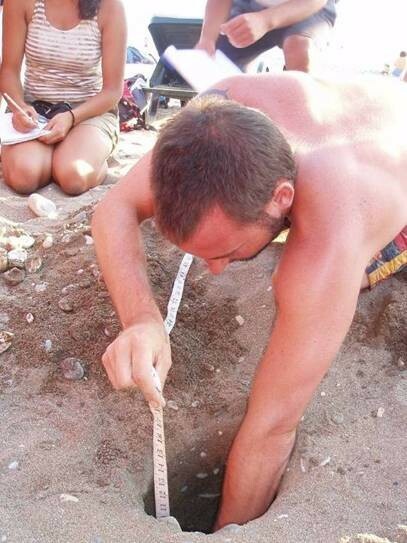 At the end of the season, when the nests are dug up, we compare the number of visible tracks with the number of hatched eggs in the nest to get a better estimate of hatching success. 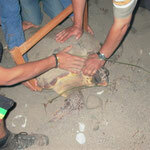 If an adult female turtle is encountered on the beach, the turtle is measured at the appropriate time (after nesting). 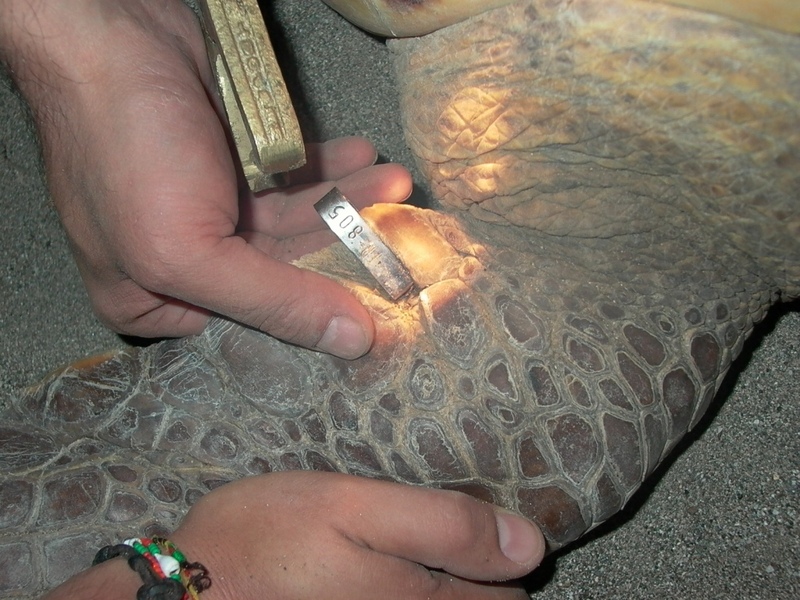 The tag numbers of marked turtles are recorded and untagged individuals may be tagged on the right front flipper. 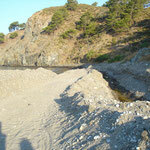 If the female turtle lays her nest too close to the waterline or at other clearly unfavourable sites (i.e. 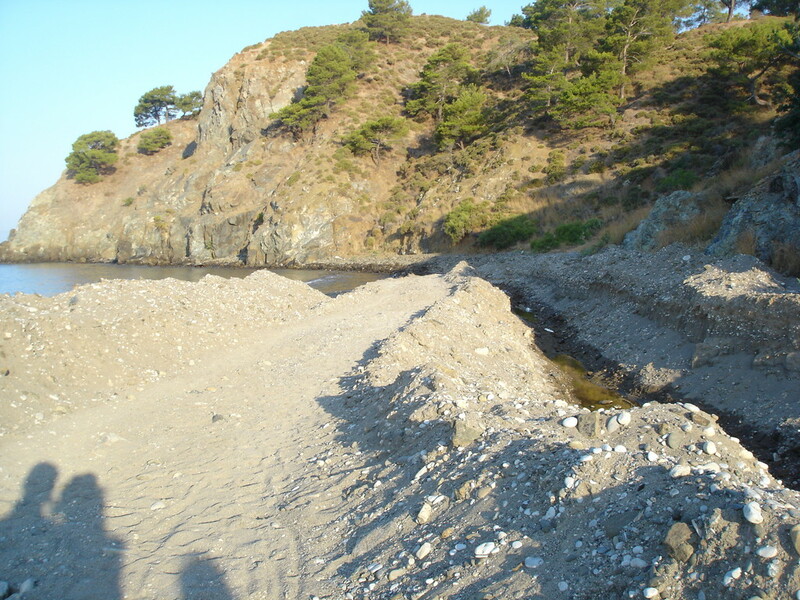 beach road), then this nest is moved. 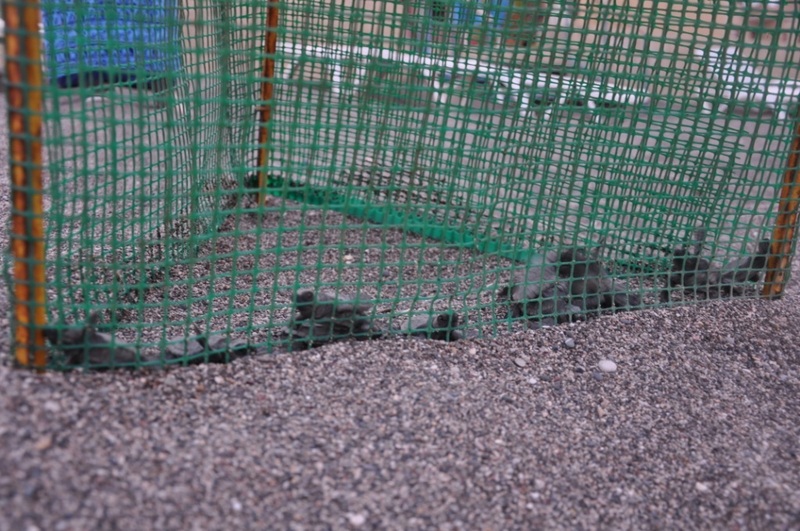 The eggs must be transferred to such so-called hatcheries within the first 24 hours in order not to disturb normal egg development. 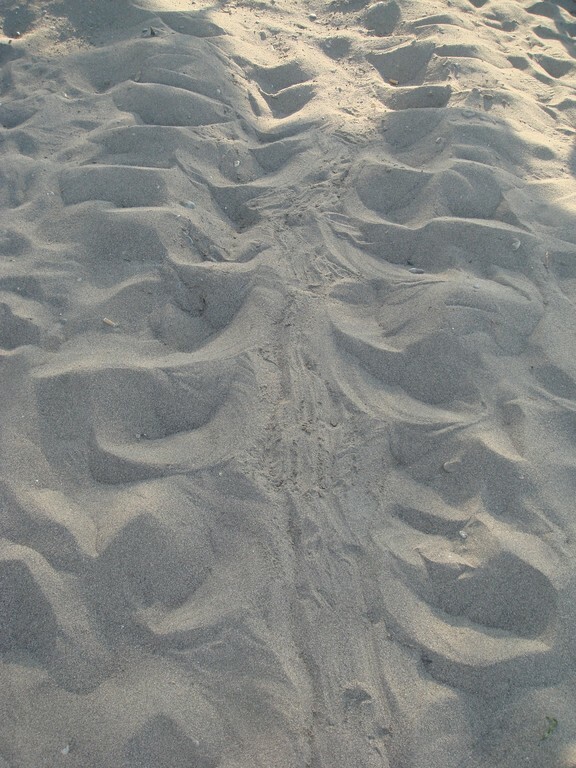 The nests are controlled every day and all hatchlings that emerge during the night are recorded (based on tracks found during the morning shift). 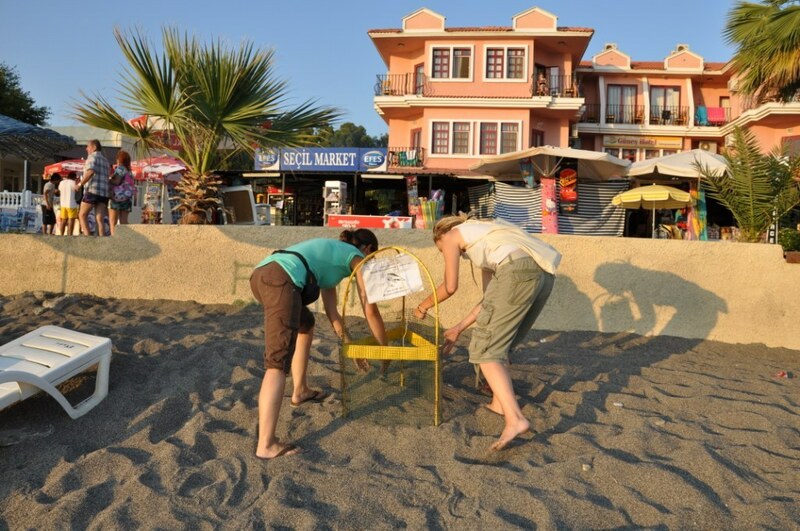 Hatchlings emerging from caged nests (along the illuminated promenade of Calis) are collected and released the same night at a darker stretch of beach. 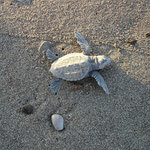 After no additional hatchlings emerge from a nest over a period of ca. 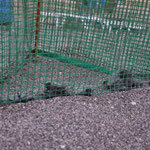 5 days, the nests are dug up. 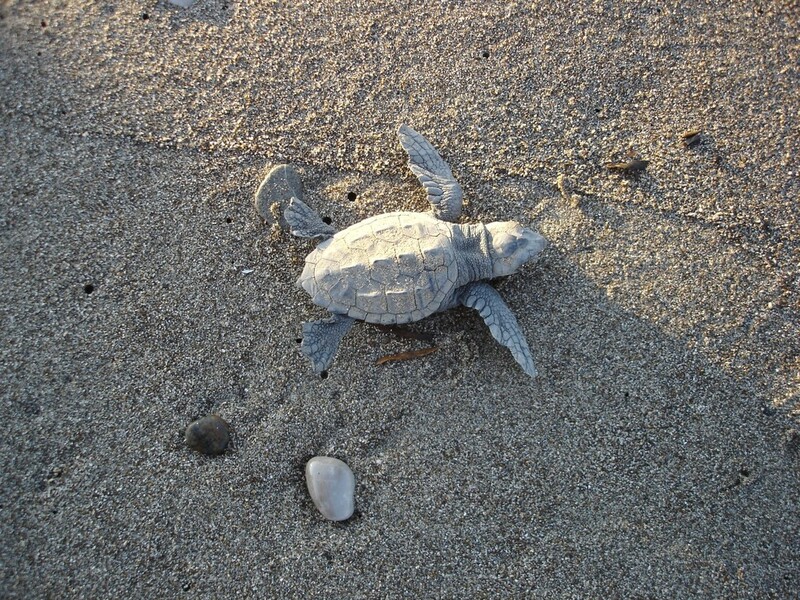 The contents are then counted and categorized as hatched eggs, unfertilized eggs, dead embryos and dead hatchlings. 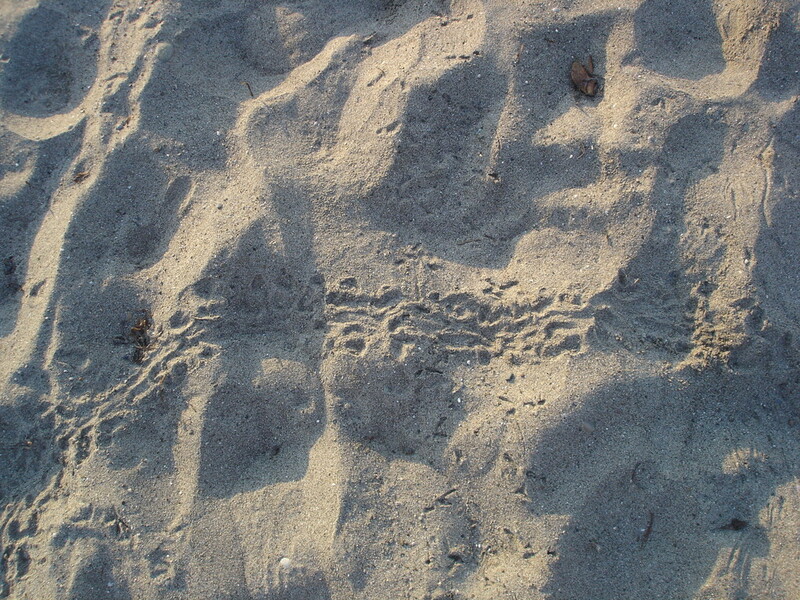 Egg predation by invertebrates is also recorded. 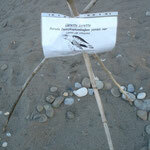 All these data are entered into the data sheets. 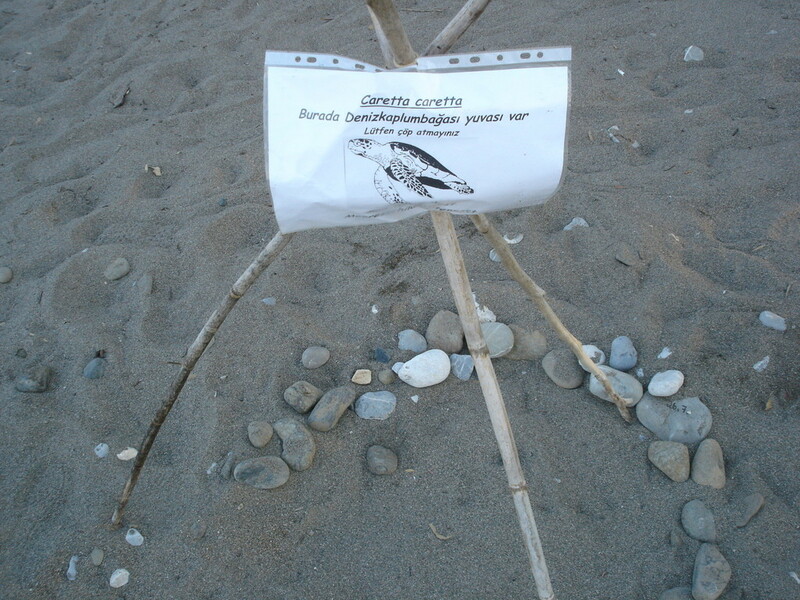 The temperature is selected nests is recorded with special electronic temperature chips (dataloggers). 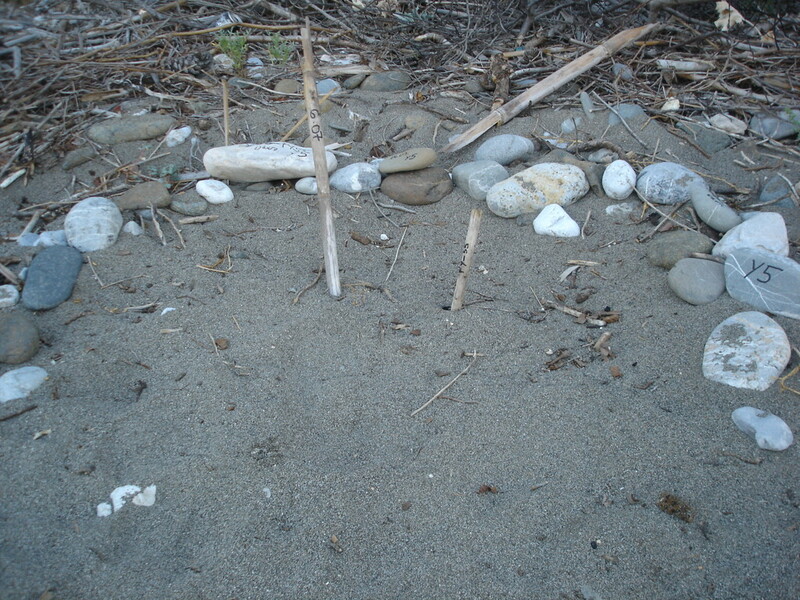 These programmable devices are either deposited in the nest when the eggs are laid, or placed at various depths in the nest in the days following egg deposition. 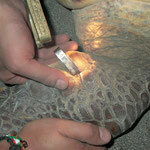 They measure the temperature at hourly intervals over the entire nesting season. 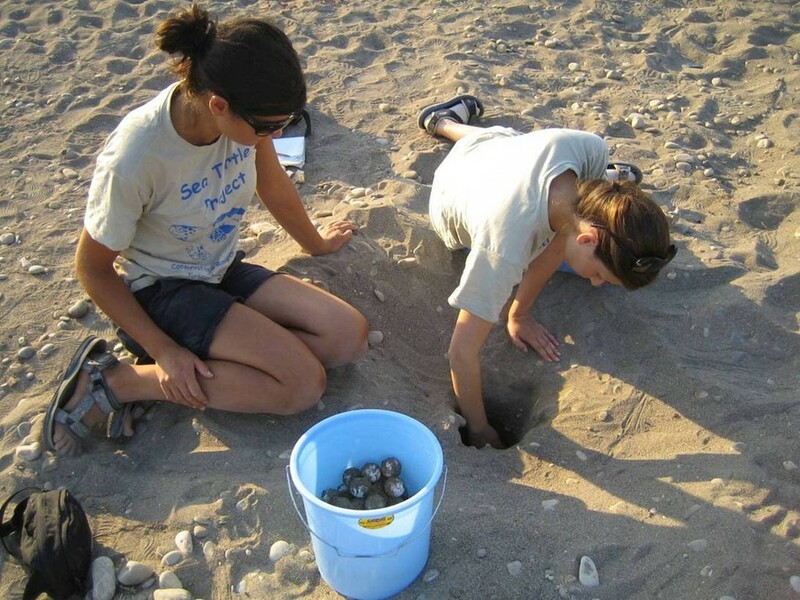 Changes in the beaches are documented photographically and incorporated in our annual reports. 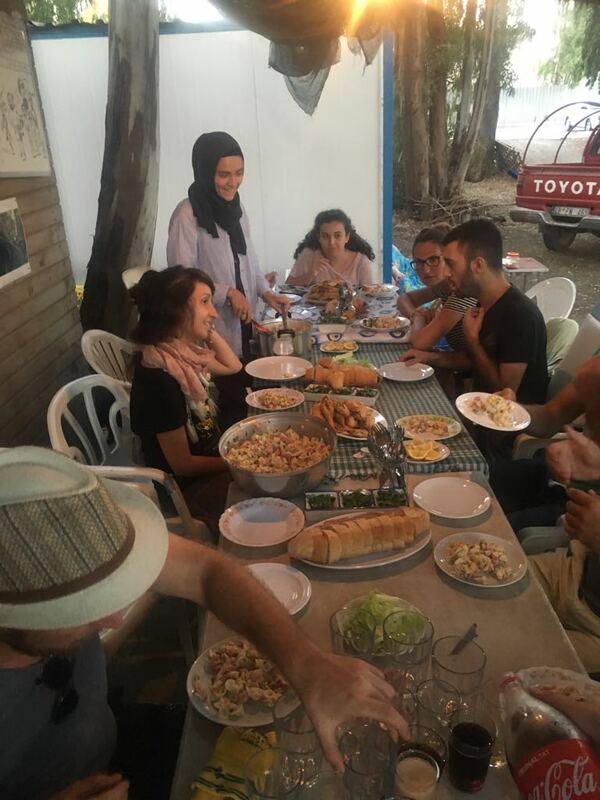 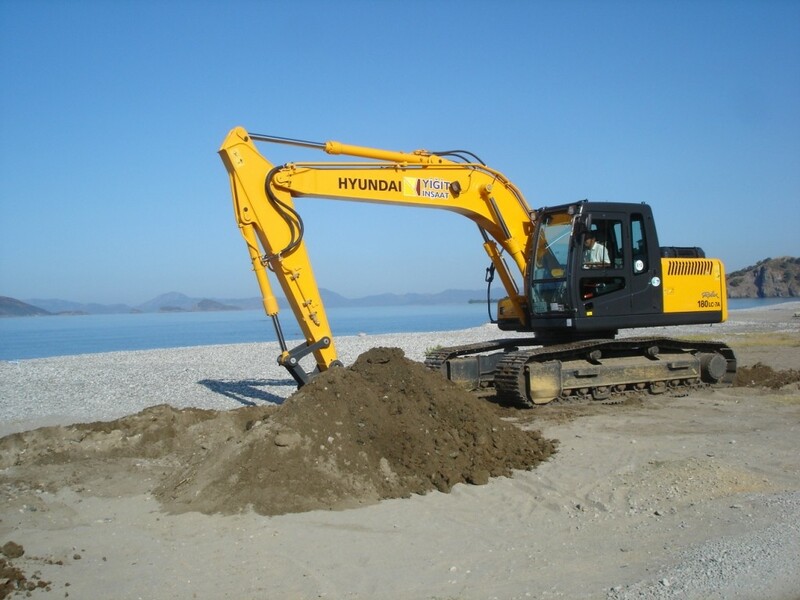 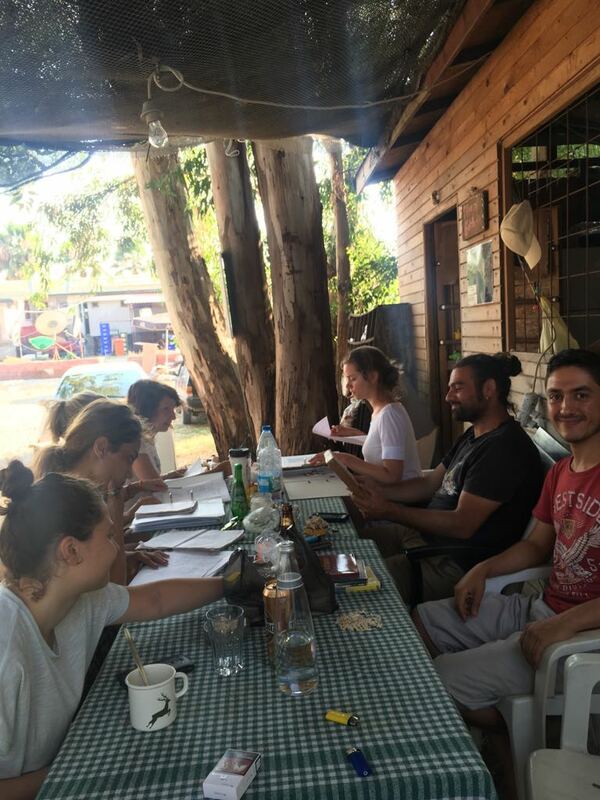 This includes a variety of negative activities such as construction or sand removal, the expansion of beach bars, garbage and marine debris, erosion and other interesting developments, as well as dead sea turtles that have washed ashore. 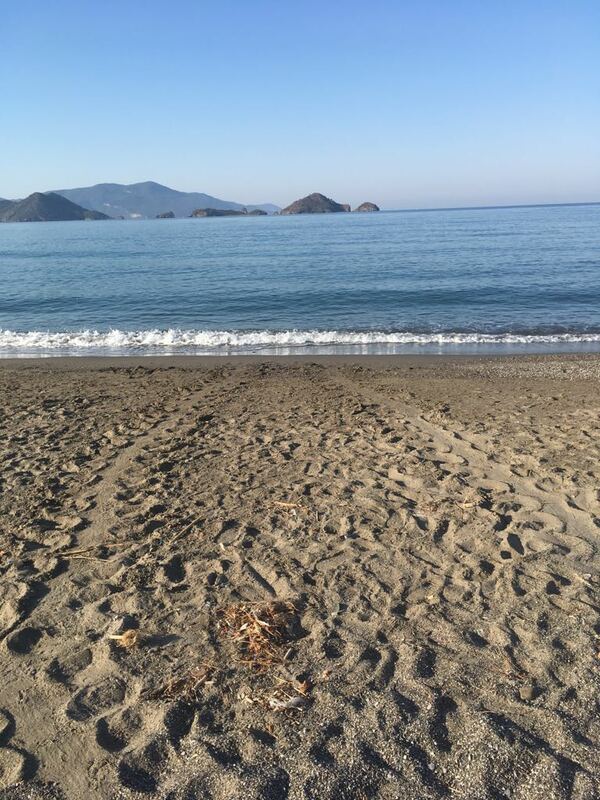 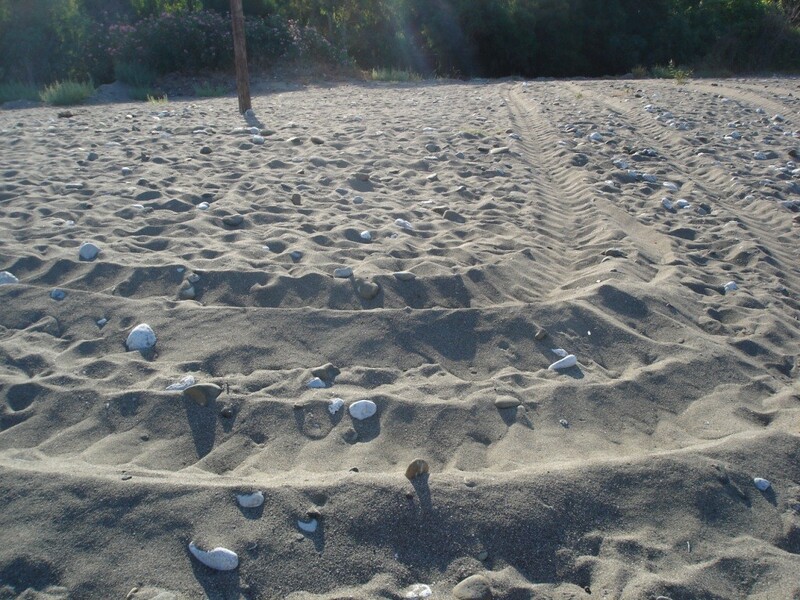 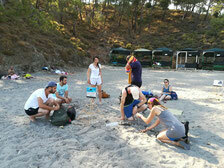 To long-term nesting trend of loggerhead turtles on the beaches of Calis and Yaniklar provides an indication of the sea turtle population status here. 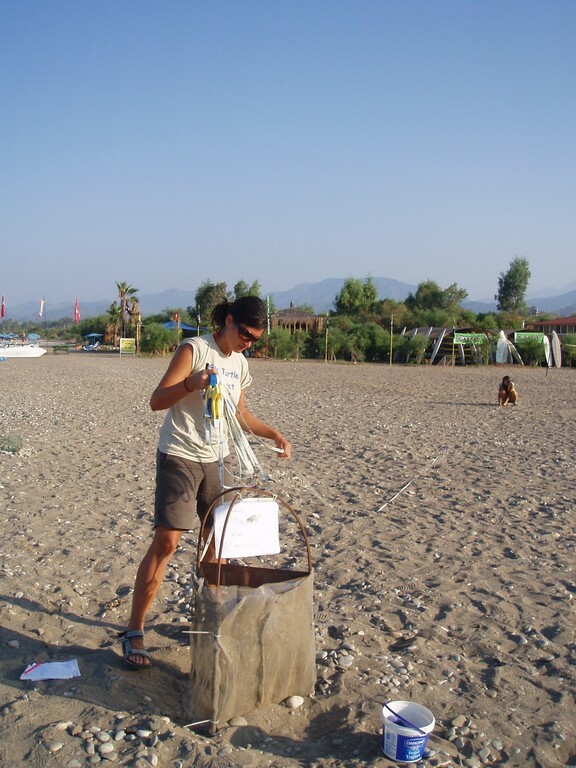 Unfortunately, the data show a decreasing trend in the number of nests, with one scenario predicting a decline down to 25% of the peak values (in 1995) by the year 2015.